This is the easiest and the healthiest snack ever! Kale chips also happen to be quite trendy at the moment. So get with it, get healthy — and spend about 10 minutes making this delicious, green snack that even your pickiest kids will love! Preheat the oven to 400 degrees and cover 2 baking sheets with foil. Use a paring knife to cut the tough center stem out of each kale leaf. 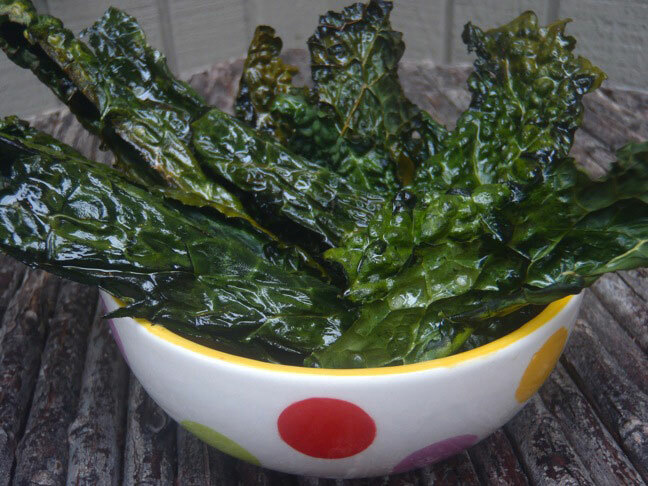 Then you can tear the kale into chip-sized pieces or leave them as large leafs — it’s up to you. Spread them evenly on the baking sheets, drizzle them generously with olive oil, and sprinkle them with the sea salt. Roast the leaves in the preheated oven until they become crisp, about 10 to 15 minutes. The edges will be a bit darker than the center — remove them from the oven when you see this — otherwise the chips could become too dark and bitter. Kale is said to be the “king of all vegetables” and a nutritional stand-out! 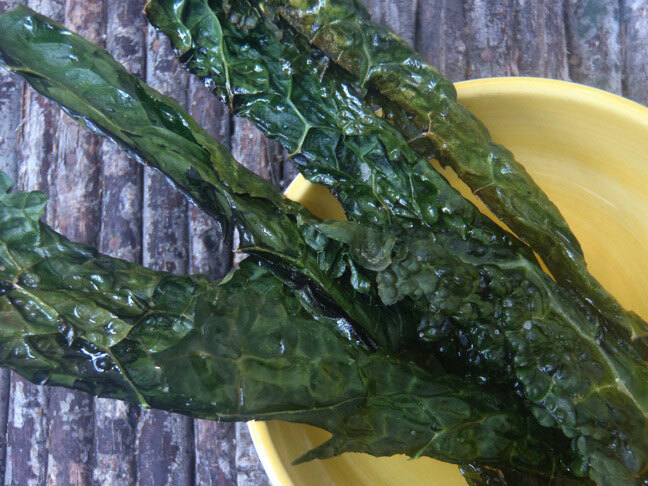 It is high in fiber and an excellent source of vitamin A and calcium. With a combination of vitamins, minerals, and phytonutrients, kale is a dieter’s dream food.